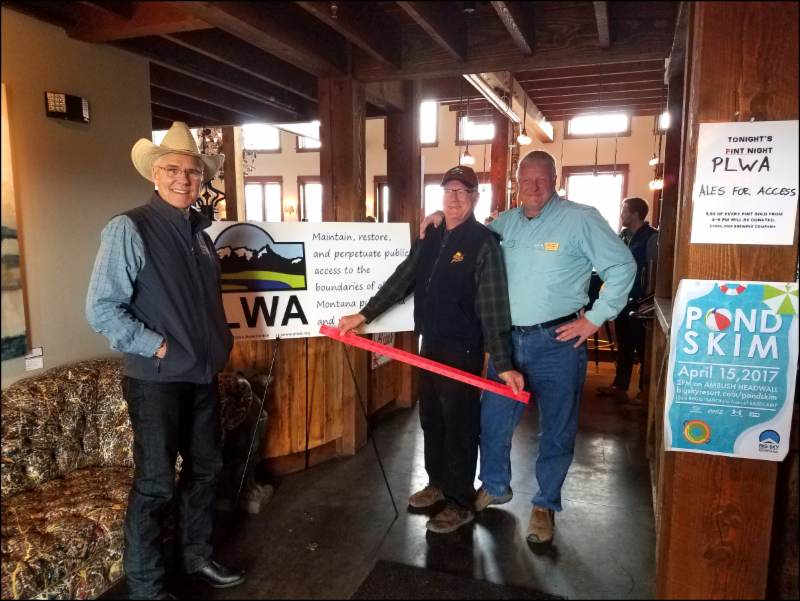 PLWA wanted to thank our membership and contributors, for all they have done in 2017 to advance public land and water access in Montana. We want to share some of these achievements with you, so that you know, when you contribute and join PLWA, your dollars are hard at work and well invested. There is much time and energy that goes on behind the scenes in County Clerk & Recorder offices, Courthouse records, County roads departments and commissions, etc, but here are some of this year’s end results of that labor. 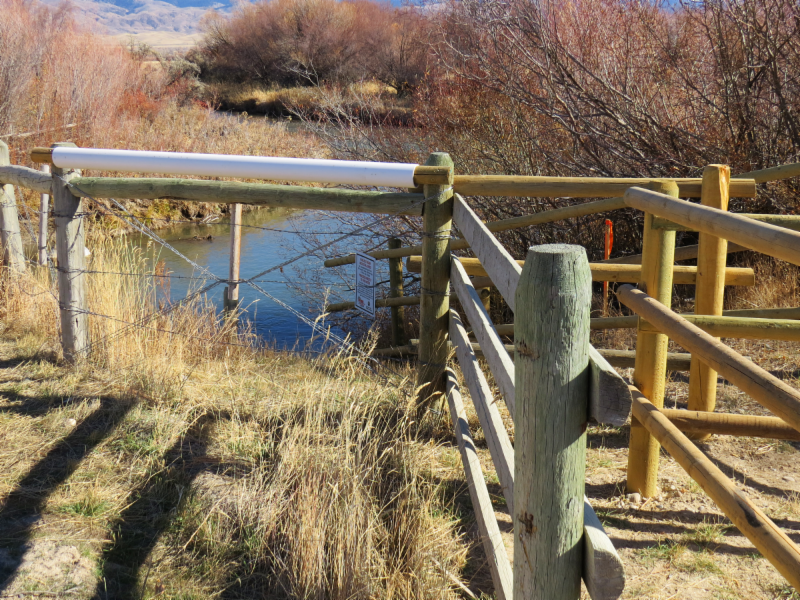 After finally completing the Seyler Lane case at the end of 2016, PLWA reached out to Montana Fish, Wildlife & Parks about providing safe access at the Seyler and Lewis Lane Bridges. FWP responded, completing the Lewis Lane Bridge access. Seyler’s is scheduled for spring of 2018. With Seyler Lane’s completion, we threw our energies into the Mabee Road case, in Fergus County, which we are currently preparing for trial. After winning the final Boadle Road case, which has spanned 17 years, PLWA received damages to rebuild the Boadle Bridge, which was completed this summer and turned over to Teton County this fall, restoring public access to the public lands and waters in the Pishkun area. 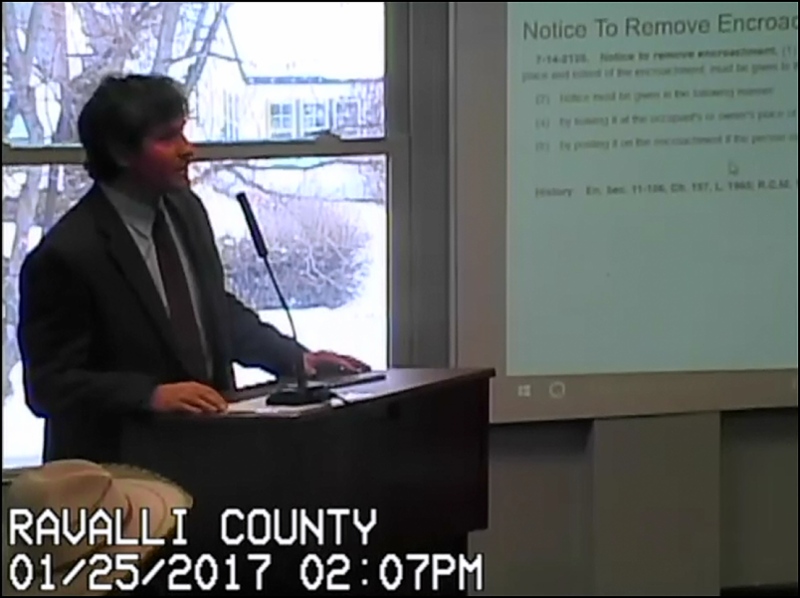 In the long battle for Hughes Creek Road, PLWA sent attorney, Kyle Nelson, from the Goetz, Baldwin & Geddes law firm, to the Ravalli County Commissioner’s public hearing on January 25th. The Ravalli County Commission voted to reject a landowner petition to abandon a portion of Hughes Creek County Road. Instead of removing the locked gate, as directed, some of the landowners filed suit and the case is currently being litigated. As part of the Crazy Mountain access situation, PLWA researched and submitted documentation in defense against the removal of Alex Sienkiewicz from his Yellowstone District Ranger position in June. Sienkiewicz was following FS policy, managing for multiple use and maintaining trails in the Crazy Mountains, drawing the ire of certain landowners. Sienkiewicz was reinstated in October. Additionally, PLWA has filed FOIA’s and is pursuing detailed research on the contested access roads and trails in the Crazy Mountains. PLWA was invited to participate in the Beartooth Front Community Forum on Public Lands, held at Red Lodge, in May. John Gibson passionately spoke on outdoor recreation on our public lands and waters; and the need for public access to them. PLWA helped a number of individuals, in an advisory capacity, who contacted us about obstructed access in their areas; including explaining the research paths within their counties and local or state laws. April 29th PLWA held their Annual Meeting in Bozeman. 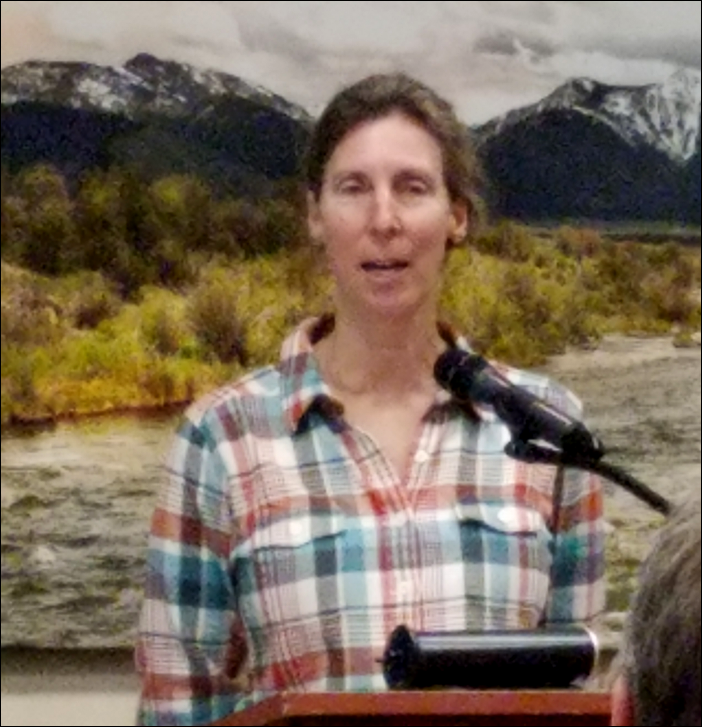 Guest speakers, attorney Jim Goetz, gave a Stream Access overview; and FWP’s new Director, Martha Williams, introduced herself, adding, “I look forward to establishing a productive and open relationship with PLWA. That’s not new, it’s something that I hope, I believe that the Department has always had a good and strong relationship with you, but I’m the new face of Fish, Wildlife & Parks. I look forward to re-establishing that and hopefully, reinvigorating it.” She held a Q&A afterward. The meeting was open to the public. PLWA also invested heavily in a new resource laden website that not only showcases the various access issues over the years, but also provides information, maps, court cases, laws and other resources to our members, journalists, law students, lawyers, historians and the public at large, about public land and stream access issues in Montana. As a heads up for 2018, PLWA will be conducting their annual Raffle ticket sale early 2018, with the drawing to be held at our PLWA Annual Meeting on Saturday, May 5, 2018. Again, we want to thank all of you who made this work possible with your time, memberships, contributions and donations for raffles – making 2017 another great year in the public access fight.